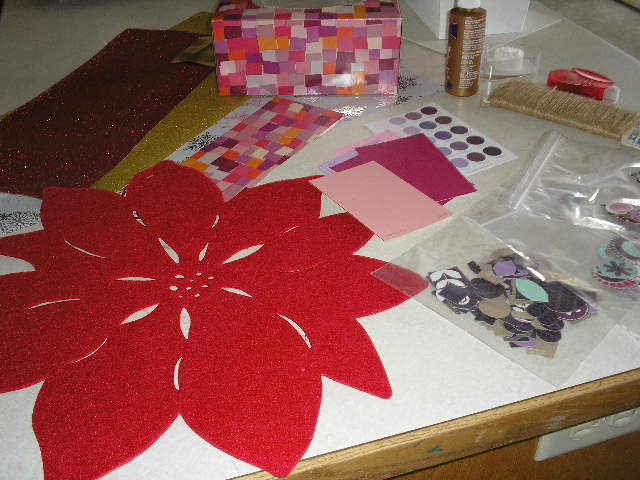 This entry was posted in Make Do, Projects and tagged Cheryl @ Artzzle.com, decoration, DIY project, make do, paint, paint card, project, samples, tissue box, Valentine, window, wrapping paper by Cheryl @ Artzzle. Bookmark the permalink. Love this! I am going to have to give this a try! 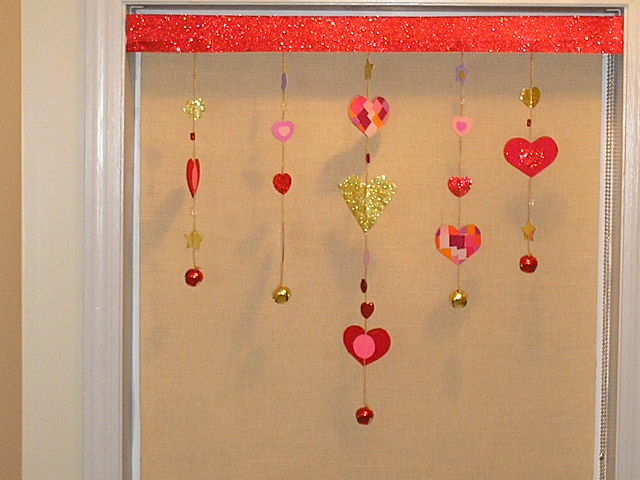 I have a window that could use a little bit of sprucing up for Valentine’s Day. (I found your blog from Sits Girls). It’s so easy and great for any theme or occasion. Thanks for stopping by. What a cute idea! 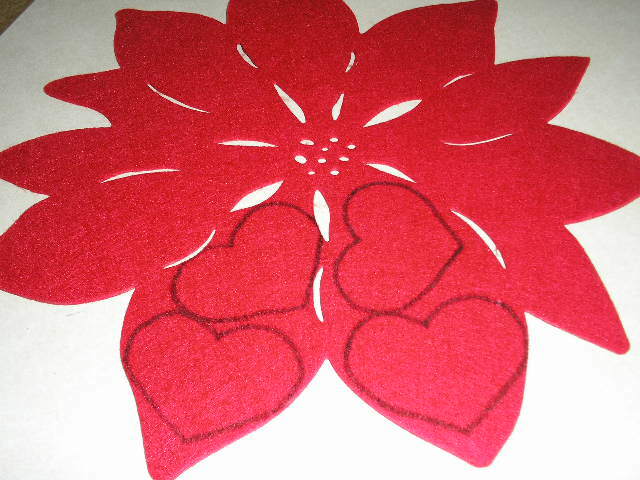 I love that you used a leftover placemat for the hearts! So cute! Always looking for double-duty stuff! And I save everything. Thanks for stopping by. These are so pretty! And look easy to make! Thanks for sharing. Visiting from the SITS Comment Challenge! I’m all for EZ and INexpensive. Thanks for stopping over. This is such a cute idea and looks so easy to do! My daughter and I are all about sparkly decorations. She will love to make these with me. Thanks for the ideas! You’re right . . . BLING is the THING. Glad you stopped by. I need easy directions for any project so figured it was a good idea for anyone else too! Thanks for stopping. Exactly … I always keep the leftovers from every holiday! 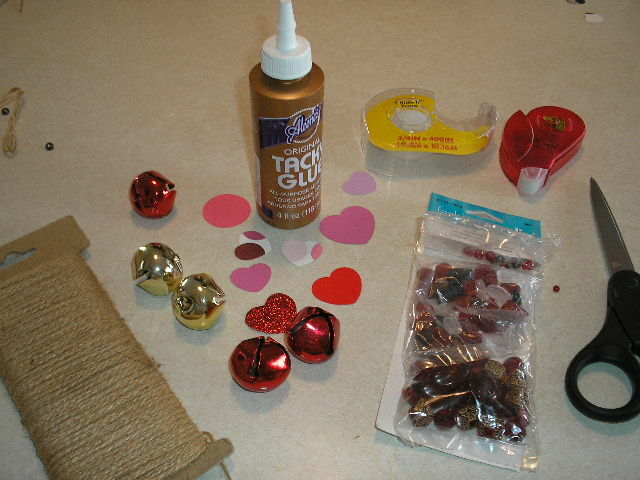 And RED & GOLD for Christmas works for V Day too, right! Thanks Dee. My MAKE-DO projects with stuff around the house are some of my favorites. Courtney, thanks. Stopped by your blog … wow are you energetic! QUICK and EASY. Thanks for stopping. I really love your crafty style. I can’t stand going to a craft store for all of my supplies, without first looking in my craft closet to see what can be used. Love the simplicity of this project, and I really love that even the kids can do it. I know what you mean. I have tons of things here . . . Hubs says I save everything (meaning WAY TOO MUCH junk) but I always find things to do with it. Thanks for stopping over. Am checking out your place too. Glad you like it. I try to feature things for any age, and anybody likes a little spruce up in their space, Right! Thanks for stopping by. I’ll return the favor. Personally, I like the EZ projects the best. Never know when you’ll need a last-minute little bit of bling. It’s great for the kids and us big kids too. I’m not much of a cook . . .so I better check out your site for some tips. Thanks for stopping. This is so adorable! I’m going to try and make this with my daughter this week. She loves making crafts! This is a pretty popular project because it’s something little kids and we big kids can have fun with and find a use for too. Glad you stopped by, I’ll return the favor soon. I am visiting from our SITS Comment Love tribe and am LOVING this east DIY project. 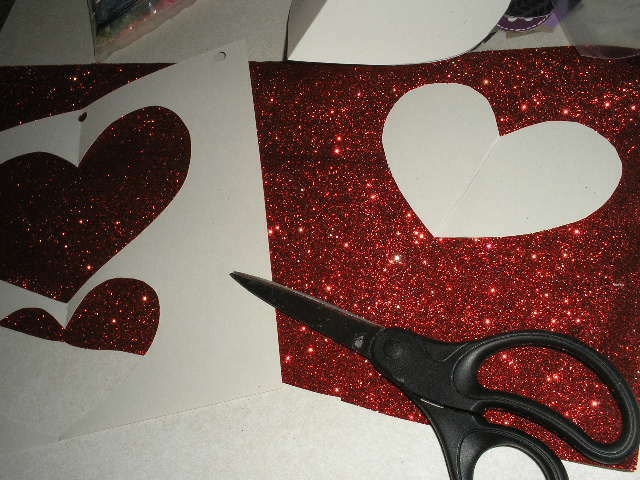 Valentine’s Day really snuck up on me so I am thinking this project is a must! I pinned it too. Thanks for sharing. It’s fast and easy, so you still have time. Now I’m going to come visit you, too. Thanks for sharing. These are so fun! I would totally be doing this for my office if I didn’t work with a bunch of boys. Might do it anyway! Yah, you need some girly stuff with all that testosterone around! Meanwhile, I’m gonna buzz over to check out your site. Thanks for stopping. This is really cute! Simple enough to do with the kids, I think. Thanks for stopping by Darcel. I love your latest “Simple Life” post. The photos are great . . . especially the three loveys with their heads together! Cuties. I know you can make my projects, but I have never learned to knit. Tried it once and got a big long, mishapen thing will holes all over it! Glad you stopped by. I checked your site out too . . . cool! 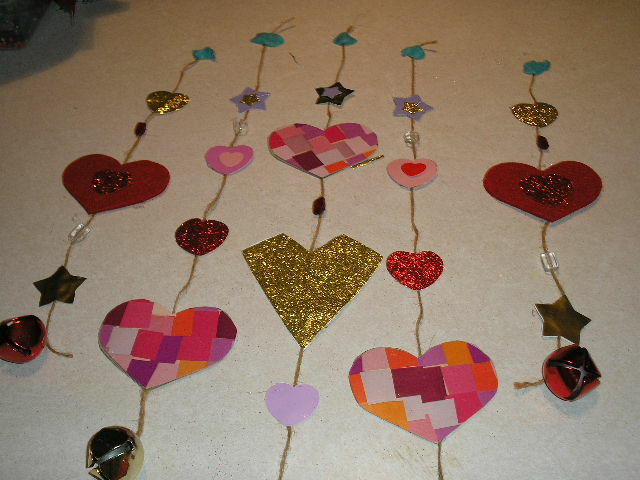 Thanks for sharing this Valentine project. Love that you used supplies already on hand! Visiting from #SITSblogging today! I’m not too super at crafting, but love to try . . . that’s why I go with the easy stuff. Amazingly, a lot of what I do comes from childhood inspiration and a fantastic mom. Plus kid’s nursery and summer art classes. That kind of thing. Thanks for stopping by. Will do the same soon. Go SITS girls. Hey, Denise, I’m with you. I love my dry glue wheels . . . double-sided tape works OK, but still looking for a better product. Thanks for stopping in. We’ll return the favor! Love those easy ones. The red and gold (Christmas) paper is pretty but there is glitter all over the house now! Thanks for visiting. Love these Valentine’s ideas, Cheryl! How awesome for you to share! Thanks. I stopped by your fb pg. Nice. Go SITS girls. It’s a good project because you can personalize it to your own colors, theme and taste. Fun with decorative beads added too. Thanks for stopping over. Easy and Cheap. The best kind of craft projects. Am finding TONS of paint card ideas. And love using the pretty tissue boxes too. They are a great craft reuse item. Thanks for stopping. Go SITS girls. It’s sure an easy one! Go SITS girls. This is amazing! Very great idea, I love another DIY =) Thank you for sharing! Following on fb Here from the #SITSBLOGGING Have a great week! I love this! 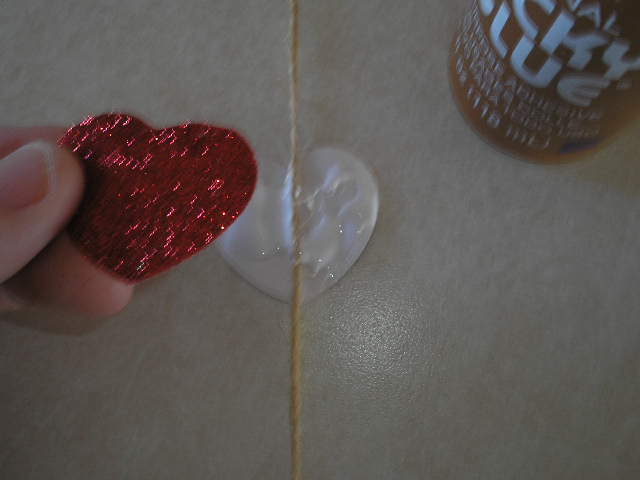 I thought you had little quilted hearts on the string, turns out to be paper. Love the re use of the poinsettia! I am stopping by from #SITSblogging! Thanks for visiting. The quilted looking hearts are from the tissue box. Those are all so fun to cut up for things. Ah, yes . . . and this winter too, shall pass. Can’t get rid of it soon enough for me! This really is a fun warm weather project. 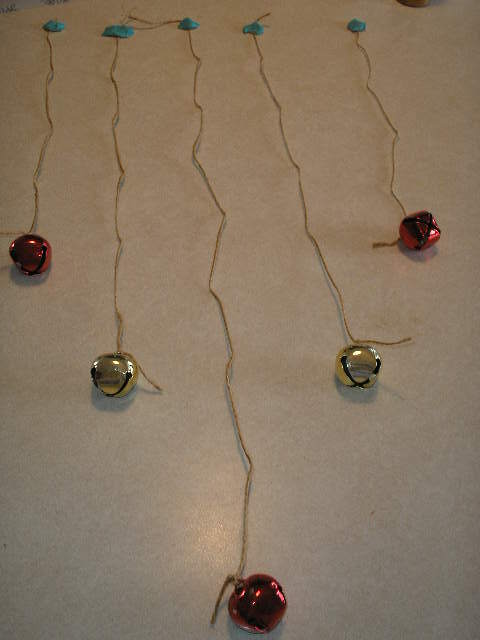 You can add strands of silky ribbons that will give you even more wonderful movements. Thanks so much for stopping by. Of course you know I am already a big fan of your site. I’ll check my mail and see what’s up today over at your place. This is a cute craft project. I like that you used recycled supplies. That’s a major plus in my book! Glad you found Artzzle. I love the beautiful things you make. You’re an expert at recylcling! Thanks. Glad you stopped by. Good luck with your blog. Go SITS girls. I’m better at lots of other things than crafting, but like to show projects that we can do by ourselves or with kids, and they have to be EASY. So there you go! Your site is very uplifting. I’ll be following. This is such a cute idea. I love that you showed us how to do all of this ourselves. Thank you for the creative ideas to get into the Valentine’s Day spirit. From #SITSblogging. I’m more of an artist than a crafter, so I like finding easy projects. I have three teenage grandaughters who inspire me too. Your site is just the information I’ve been looking for, to develope my blog further. I signed up. SO glad you stopped by today. Stay safe and warm during your latest weather weirdness. Glad you like it. It’s a really adaptable project . . . for holidays, or kids’ themes or some bling for us big kids. Oh, now. I looked at some of your glass projects and I think this will be easy for you! Thanks for commenting. What a fun and adorable project! This would be great to customize for any holiday, and it looks so easy. My kids love to get crafty and I bet they’d love this, it even looks easy enough for my 5 year old to help with. Stopping by from #SITSBlogging, just playing catch up. I think the 5 yr old would love to help with this! Thanks for stopping by. Go SITS girls.